The YouTube Spaces are waiting for you! YouTube Spaces provide free studios and equipment for popular YouTubers (‘popular’ is 10,000 followers or more). London was chosen as the site of the first YouTube space, opening at Google’s Covent Garden headquarters in July 2012. Since then, a dozen more Spaces have sprung up in major cities, including Berlin, Paris, Mumbai, Tokyo, Toronto, Los Angeles and New York. In August 2016, YouTube Space London was reopened – bigger, better and faster – in new digs at Google’s King’s Cross site. Chris Lock is the technology manager for all YouTube Spaces in Europe, the Middle East and Africa (EMEA). Lock joined the YouTube Spaces team just over four years ago, originally looking after the technical infrastructure of the first YouTube Space London. 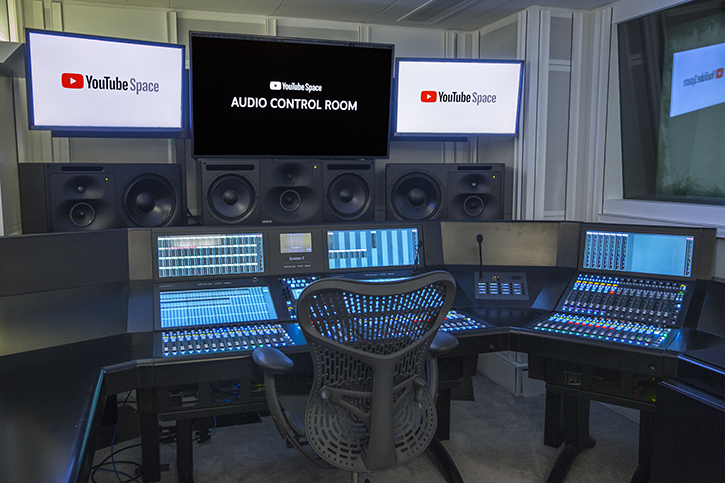 The YouTube Spaces are designed to be labs of sorts, helping the YouTube creative community to flourish by providing top resources to creators and artists. 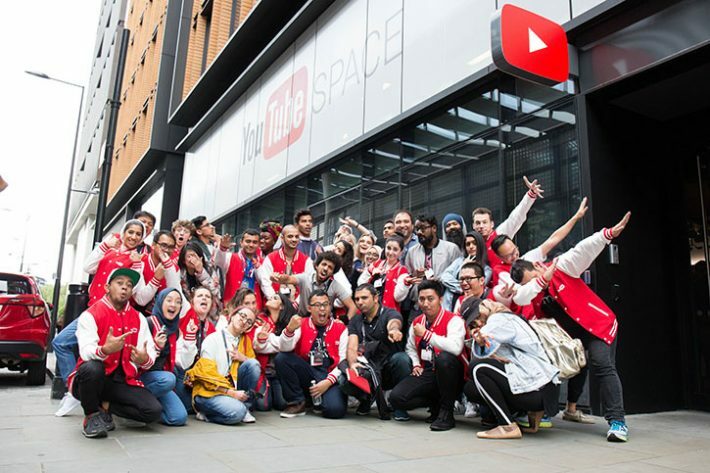 The latest incarnation of YouTube Space London is a 20,000 square foot full-service production facility. YouTube creators with more than 10,000 followers can learn about production techniques and new technology, experiment with new formats and concepts, and network with a diverse community of creators. 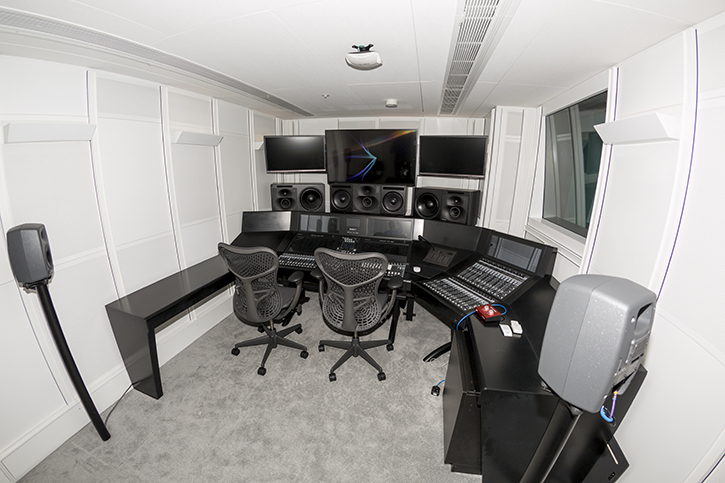 Image: Production control London’s YouTube Space offers facilities to cope with cope with all kinds of production demands, from live gigs to VR. And the facilities available in the YouTube Space are indeed impressive. 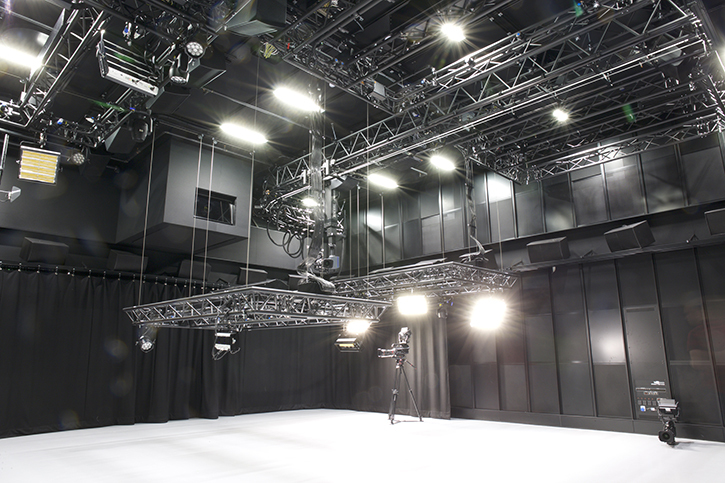 “From the very early conception of the project, the core aims were to build an incredibly flexible space that allowed for a diverse range of productions and the unique requirements that come with those. A significant amount of research was conducted on core routing. 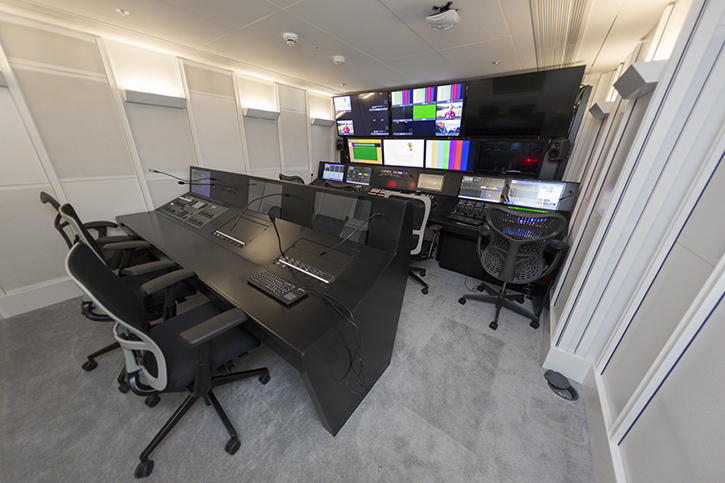 Lock and the technical team were keen to offer uncompressed live UHD production, and with the increase in bandwidth required, they began evaluating the use of IP. As standards had yet to settle, they decided the most flexible and risk-free approach was to adopt an SDVN solution from Evertz using ASPEN, which has served them well. The Space is now embarking on the migration to the ST2110 standard, which will allow separately routable video and audio over IP networks. The audio subsystem is built around Dante, using the System T 72 fader audio console from Solid State Logic. This gave the team the balance of significant firepower for music production, while also being a very effective TV mixing desk. The space also has a smaller 16 fader junior control available. “Dante gives us the ability to quickly and easily respond to changes in user audio requirements,” says Lock. “Depending on the artist’s preference we can either track to ProTools or Logic in a redundant configuration and we have capacity for a significant amount of outboard equipment. Distributed RF is available throughout to ensure microphones and IEMs have coverage no matter where you are in the facility. A wide range of microphones is available, from multiple manufacturers, and ample PAs for a full range of artists. The facilities can share low latency baseband video and intercom trunking and employ the Riedel’s Artist system and Bolero for wireless intercom requirements. With that solid infrastructure, YouTube Space London offers a treat box full of production equipment for creators to use. In order to accommodate the mix between digital cinema and live workflows, the Space offers Sony’s F55 cameras, with the broadcast module. The flexible Sony cinema cameras operate over SMPTE hybrid fibre, allowing the team to change location easily for live production, as well as using them for digital cinema workflows. “Each creator has different needs and preferences. We try to offer as much choice as possible whilst also giving the opportunity to experiment with equipment they would otherwise struggle to access,” says Lock. Stay Flexible: The Space’s camera gear includes everything from Canon DSLRs to the RED 8K WEAPON. 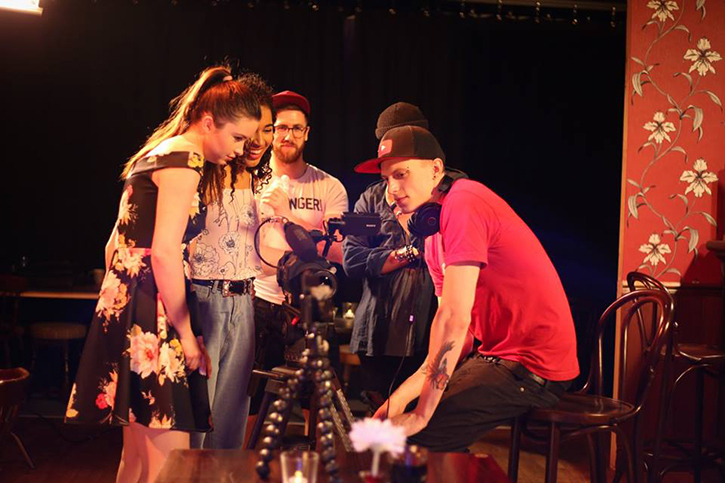 The Space offers a wide range of production gear, ranging from DSLRs such as the Sony A7S and the Canon EOS 5D – Canons have become a tool of choice for many YouTubers – all the way to high-end digital cinema such as the RED 8K WEAPON. There is also a stock of 360 cameras, such as the Yi Halo that uses the Jump Assembler, as well as ambisonic microphones for recording immersive audio. As you would expect from YouTube, the Space is well networked. “Our production IP networks are all based on 10GbE,” says Lock. “We have used pre-terminated MTP trunk cables to flood wire the facility, this gives us the flexibility to add I/O and even extend our intercom and wireless RF system wherever the need arises. Perhaps not surprisingly, Chris Lock doesn’t come from a traditional systems integration background – or even from a streaming video background. “I have a very non-traditional background in terms of production engineering, I actually began my career working for a company developing live and file-based newsgathering solutions for the broadcast market. This gave me a great grounding in IP as well as baseband video. The world of the streaming video auteur is still in its early stages. The YouTube Spaces will no doubt be incubators for the next generation of streaming content production. So what’s next?